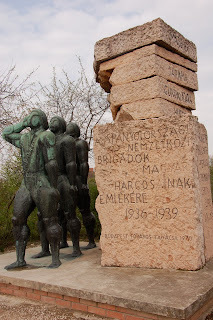 One of the more unique sights to see in Budapest is the collection of Soviet memorials from the communist era about 30-40 minutes outside of Budapest at "Statue Park", recently renamed "Memento Park". As the communist regime fell in Hungary, one of the first acts of capitalism was to set up this park outside of town and bus people in to have a look. It's a fine collection of socialist realist art that captures the collectivism and anti-individualism that was all the rage of the regime. This one is probably my favorite in the park, representing a worker running into the future holding the Soviet Flag. This one depicts the "scout" type program that the Soviets had in place to raise up good little communists. 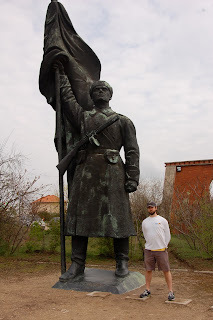 This one had a bunch of copper or bronzework on it which was ripped off sometime during the regime change. Lenin is one of only about three people that could have individual monuments made of them during this time. 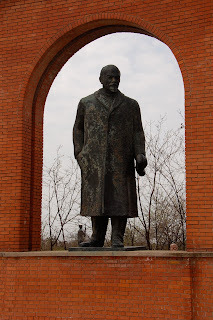 The others are Marx and Engels of course. I really liked this one which seemed to be made from scrap metal out of a junkyard or something. See below for close-ups. This guy was also pretty intimidating - a proud comrade holding the flag, chin up, and packing some heat. 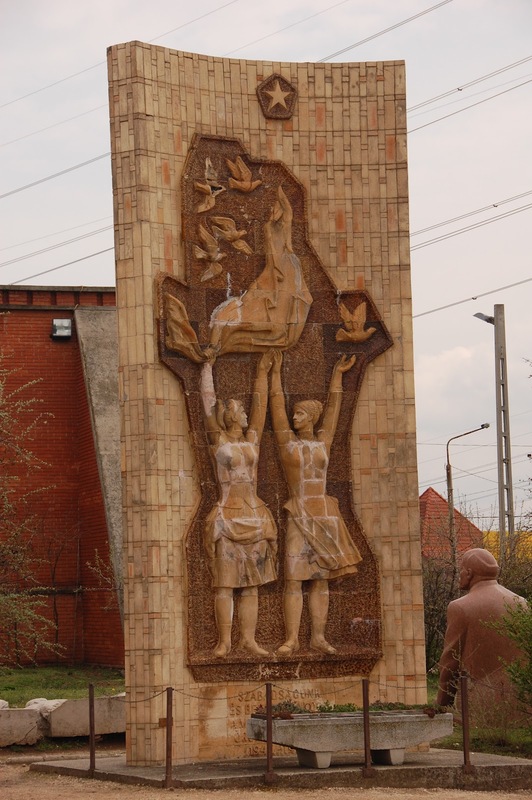 This one commemorated the "liberation" of the Hungarians by the Soviets during WWII. This is all that remains of a statue of Stalin that was cut off at the boots during the 1956 Uprising. 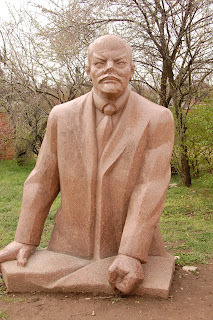 Statue Park is definitely a fascinating stop for history buffs and any Westerner really, since these type of monuments are so different from what you find in Western Europe and North America.